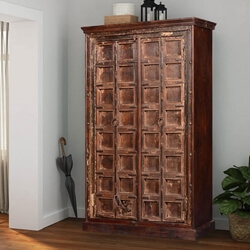 One complaint is uttered every day in a million households; “Not enough closet space!” Now you can take control and enjoy lots of space where ever you want it with a wardrobe cabinet. 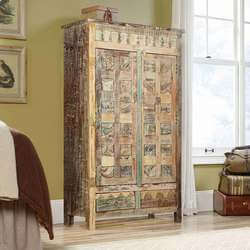 These large and spacious moveable closets are also called armoires, but no matter what you name them, they are amazing. 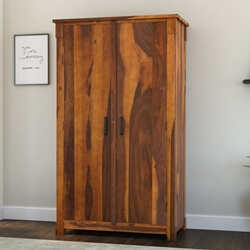 Once you discover the convenience and beauty of a Sierra Living Concepts wardrobe, you’ll wonder how you ever got along without one. 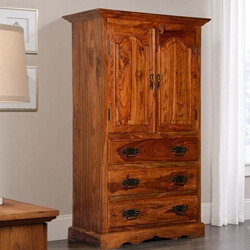 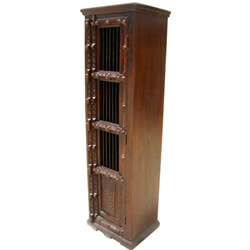 Our solid wood armoires are handmade using the highest standards to create heirloom quality you’ll enjoy for many years. 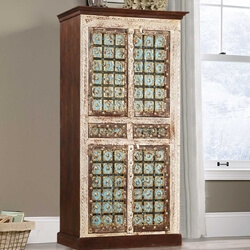 These elegant extra-large closed cabinets are so dynamic you’ll want more than one. 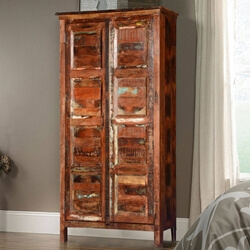 We use premium hardwoods including Indian Rosewood, Mango wood, Acacia, Teak, and individually selected reclaimed wood. 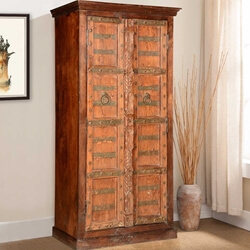 Many of our armories are art or showcase pieces with dynamic handcrafted details including intricate hand-carved designs, brass or iron grillwork and details, tiles, and hand painted designs. 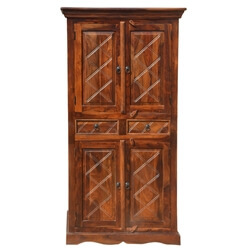 These tall cabinets come in styles with single or double doors, open shelves, and drawers. 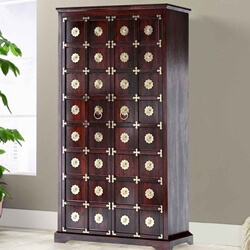 If you can imagine a storage configuration, we probably have it. 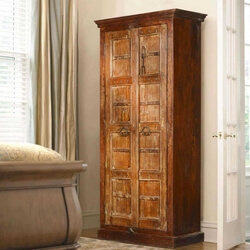 With over 260 wardrobe and armoire cabinets, you’re sure to find the style and design you need. 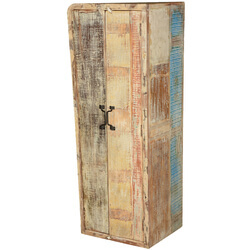 We offer rustic styles in our Appalachian, Pioneer, Farmhouse, and Simplicity collections. 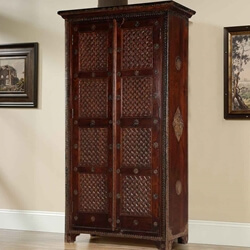 Our traditional styles can be found in our Gothic, Tudor, Elizabethan, Philadelphia, Shaker, Empire, Heritage, Victorian, and Pennsylvania Dutch collections. 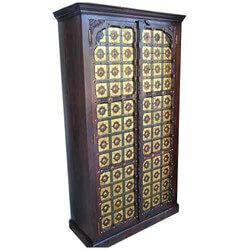 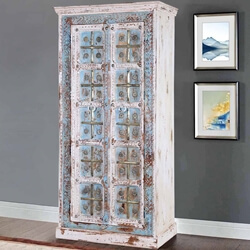 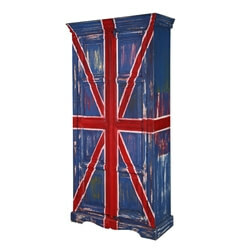 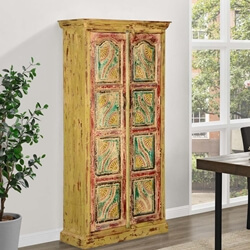 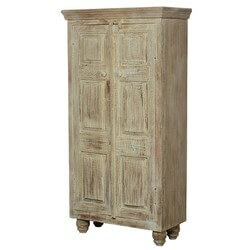 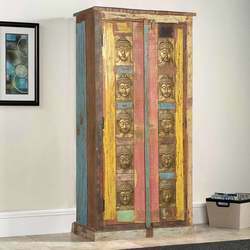 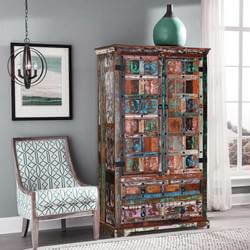 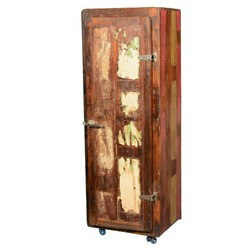 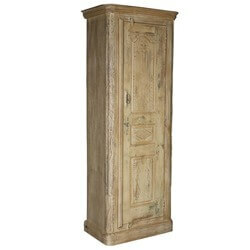 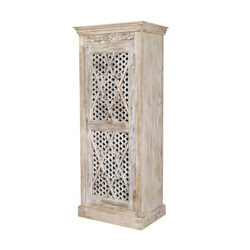 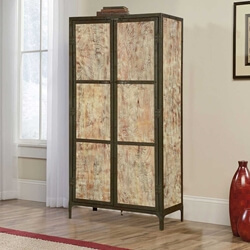 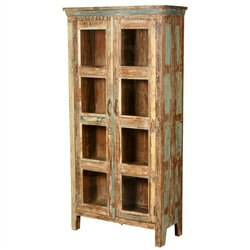 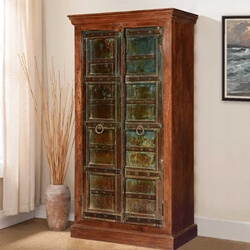 Check out our Retro, Industrial, Primitive, Mosaic, and Modern style if you’re in the mood for a contemporary armoire. 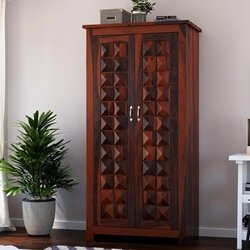 If you find the almost perfect wardrobe that needs a tweak, please let us know. 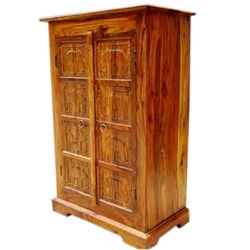 We offer customization on most of our furniture, so if you need an extra shelf, a different shade, or a size adjustment, talk with one of our reps. 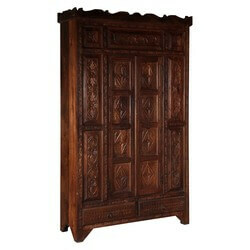 Explore our wardrobe-armoire department. 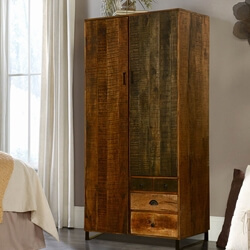 You’ll never have to suffer from lack of closet space again.